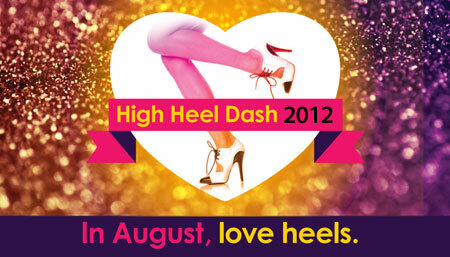 3rd Annual Aegis Foundation High Heel Dash invites both men and women to show off their glamorous athletic prowess for a good cause! On Wednesday, August 15th at Target Plaza in Downtown Minneapolis contestants will compete against each other in 25-yard dash heats wearing heels 3 inches or taller. Special Guest DJ starts at 4pm! Heats will start at 6:30pm to give you time to leave work and dash to Nicollet Mall & 11th for a great cause! Prizes will be awarded for 1st, 2nd, and 3rd place dashers for both Men and Women. Spectacular Grand prize to the highest fundraiser too!! **NEW this year - Think you have what it takes to walk the catwalk? This is your time to show your walk and your shoes! Winner will be choosen by crowd applause. Proceeds benefit Aegis Foundation and Project Healthy Smile.